Springbok Atlas Tours & Safaris is a long-standing leader in the African tourism industry. With headquarters in Cape Town, offices in Johannesburg, Durban and Windhoek, and alliance partners in Botswana, Zambia, Zimbabwe and Mozambique, we are well-positioned to deliver extensive travel and touring services throughout Southern Africa. Our top quality products and services have been delighting travellers from across the globe for many decades. Springbok Atlas Tours & Safaris employs over 100 people who are passionate about travel in Africa. We are a dedicated team of travel specialists with extensive knowledge of every aspect of our industry. We enjoy the fast pace of our work and take pride in the top quality of our operations. We have a proven versatility to meet the standards of discerning travellers whether they are holidaying in small or large groups, or as families, couples or individuals. Springbok Atlas Tours & Safaris has a rich heritage of travel and touring in Africa. Our origins date back to 1946, and some of the earliest group tours to South Africa’s magnificent Kruger National Park! Over the past decades, we have built our business into one of Africa’s largest and best known tour operations. Today, Springbok Atlas Tours & Safaris is a division of Cullinan Holdings. Cullinan Holdings is one of South Africa’s leading Tourism and Leisure Groups. 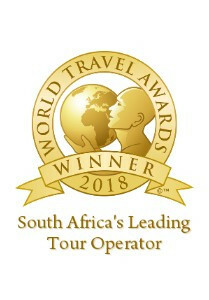 The Company owns some of the premier Tourism, Travel & Leisure Brands in South Africa including coach charter and touring companies, inbound and outbound tour operators, retail travel agents and conference, incentive & events planners.